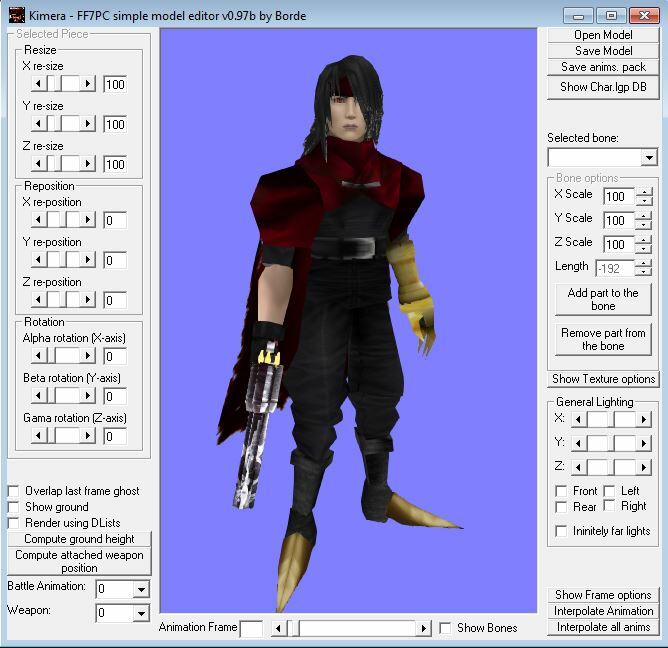 FFVII ImportExport Maya plug-in is a tools for import and export FF7 Field characters model(.hrc and .p) and also import Battle characters. And plus one .mll Maya plug-in for read .tex format Textures of FF7. After import .hrc file, you can edit character model parts and export them separate (each part into one .p model) and replace with orginal model which you wish. This is usefull plugin but exported models, require import and save with Kimera application(Kimera (0.97b)) for good result in ff7. If you can't run Kimera097b, you can get Kimera097b of here, and right click and run as administrator on Kimera097bRunner_v1.bat file. This can be resolve your problem. also you can Use my 'FF7 Tex Image Tool' for get good result of image and also you can see perview before convert your image. 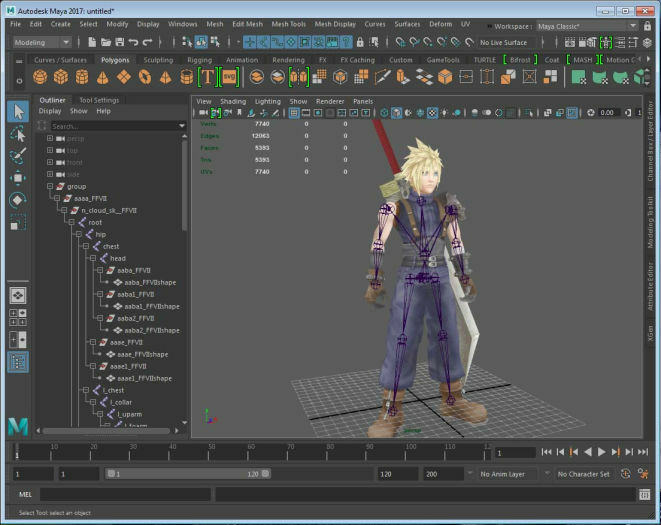 Download FFVII ImportExport Maya plug-in and help PDF is include zip file too. can't you make it for blender ? I second this. Such a plugin for Blender would be much more useful for us who can't afford Maya or can't get it for free (nor want to use a pirate version of it). yes, you're right, but In fact, I'm not so familiar with scripting with blender, so create this plugin to blender's plugin isn't easy for me and i need time to try it. but ok, i'll try to do it When I find free time to test it..
Downloading it now, hopefully I'll have time to check it out tomorrow. If it does what I think it does, this was much needed. for now animations are only for preview, and unable to export! but ok, it's good idea, i'll try to do it When I find free time! and one note: this is best if you use that with Kimera( i mean, after export your model of maya, import your model in Kimera and save model in Kimera, for better result in game) because if you do not this work, in gameplay, models seem have, little problem in normals, but if you import, your exported model of maya, in Kimera and save it again, problem will be fixed and model seem really good and without problem. Does anyone have experience with this plugin? I'm using the 2017 version on Maya 2018 (this usually works without any issues), and I'm able to import field models, but cant get battle models to work. Either nothing happens, or I get an error with a single joint and no pieces of the model. 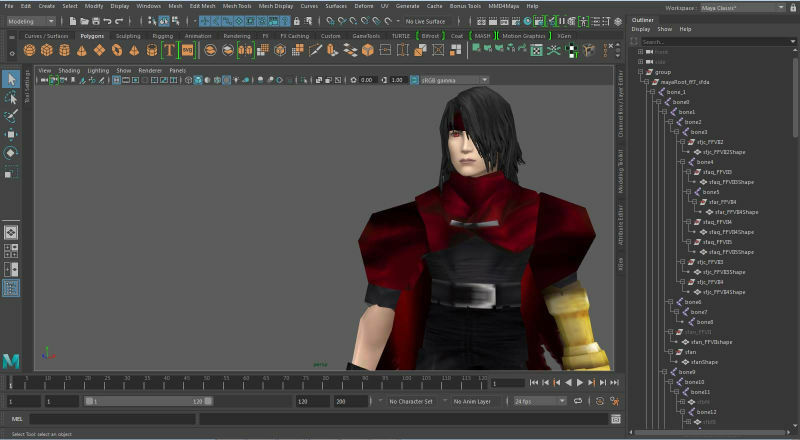 Maya shows the plugin files installed properly. Is there a trick to getting battle models to import?